When I moved to Scotland, into a boarding school the dress code was: tweed jacket, grey trousers, white shirt and tie. What better way to start your love for fashion by being ordered to wear what you liked. Since it was a christian/military school, you learned to be clean, act like a gentleman (only in front of teachers), and dress accordingly. I would say that if people ask me now why I like to dress up, it is probably because of these three years. In order to not talk about myself anymore, I would like to focus on the clothes. A girl told me a statement that I could not agree more with “A man always looks good in a suit.” So true! It only explains why it was an everyday choice for a man through out the 20s all the way to the 70s. 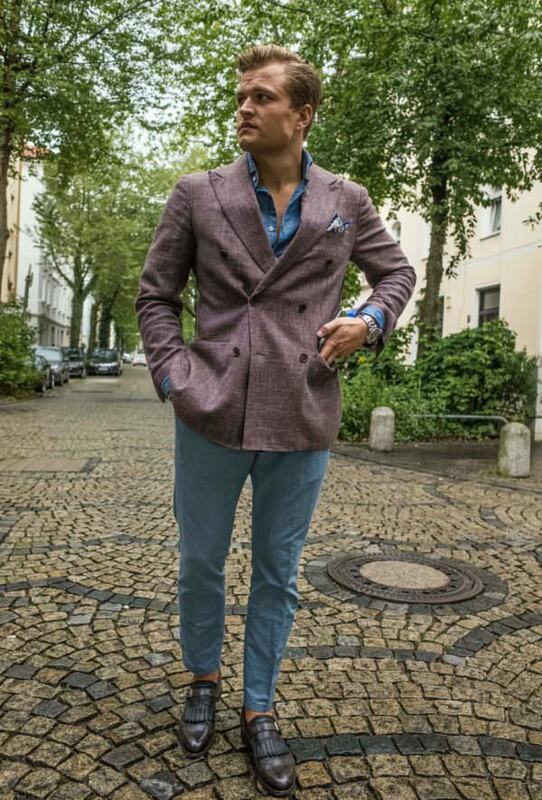 Especially the older generation as well as men in their 30s and 40s wear blazer off work and look great with a white shirt and jeans. It is however, through our society today, difficult to dress like that. 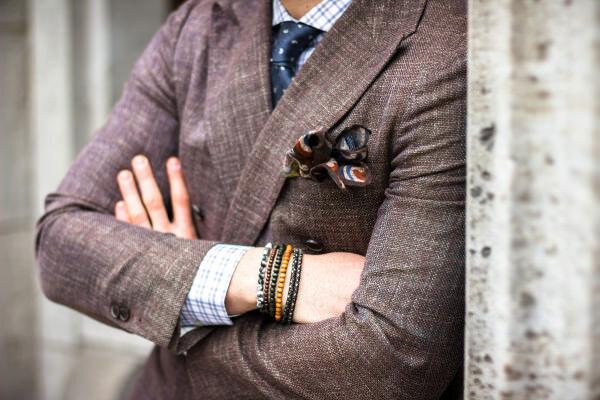 Italy and England in my opinion are an exception as they founded tailoring… Here in Germany, this has not really reached us. 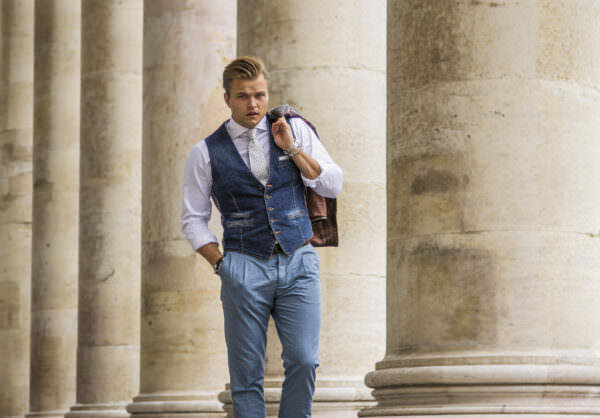 Bloggers and influencers are trying to integrate it, but mostly combining the elegant looks with a majority of casual ones in order to not loose track of the current style. Personally, I understand this concept. 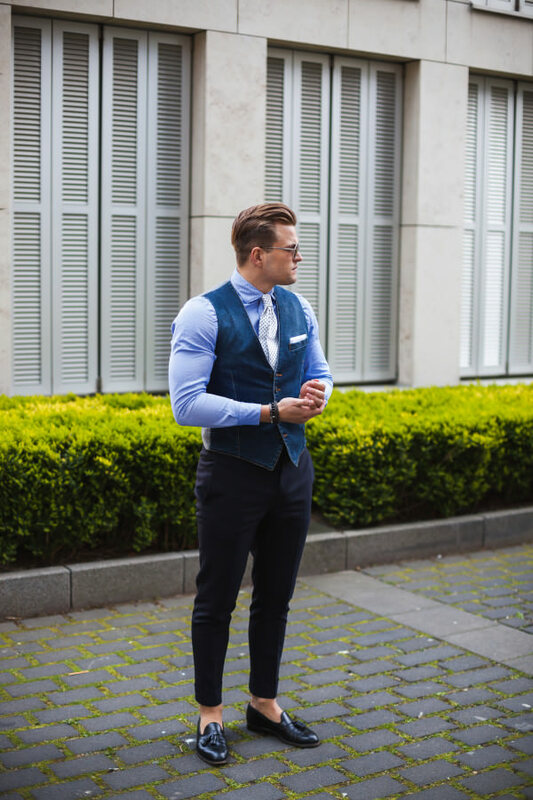 If you started as a street style blogger, there is little point of moving further into the suit and tie category. You have to find out what YOU like and what YOU feel comfortable in. No matter what you see on the street, find your inspiration from it and combine it in your wardrobe. In many cases even, things won’t look equally good on you as it did on the blogger you saw it from. In the end it is the bloggers personal choice and your personal taste that either goes hand in hand or agrees with some pieces he or she wears. This is not an attack on you or on what you wear, it is merely my opinion and my view on what I like to wear.